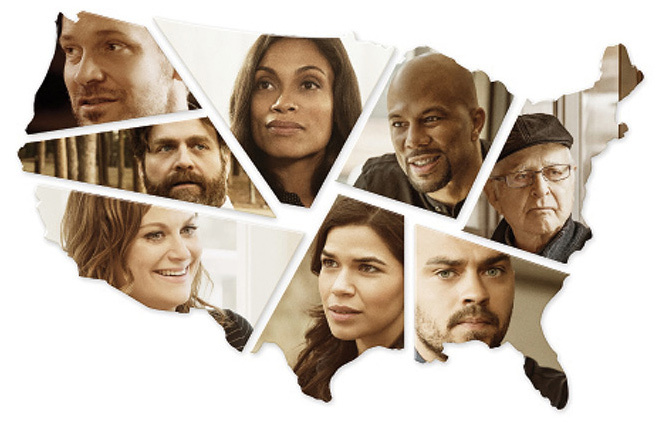 NEW EPIX DOCU-SERIES AMERICA DIVIDED TACKLES ISSUES OF RACIAL & SOCIAL JUSTICE. In a year filled with news stories of a divided America, and an equally divisive presidential election, America Divided tackles the important issues of racial and social justice, features narratives around inequality in education, housing, healthcare, labor, criminal justice and the political system – all woven into an eight-story, five-part series. The show follows high-profile correspondents as they explore aspects of inequality related to their own biographies. Correspondents include: COMMON, ROSARIO DAWSON, AMERICA FARERRA, ZACH GALIFINAKIS, NORMAL LEAR, AMY POEHLER, PETER SARSGAARD, and JESSE WILLIAMS. AMERICA DIVIDED is currently streaming on EPIX.com and the Epix network 9pm/8C.